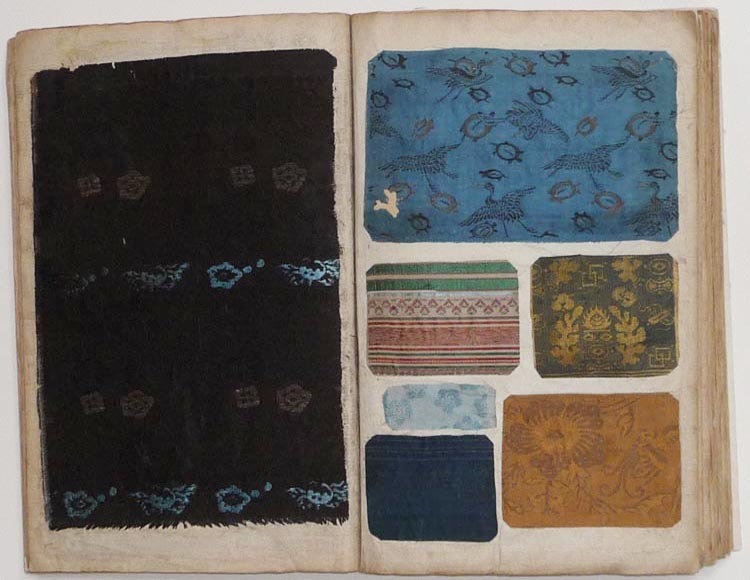 Title: Untitled collection of textile fragments. 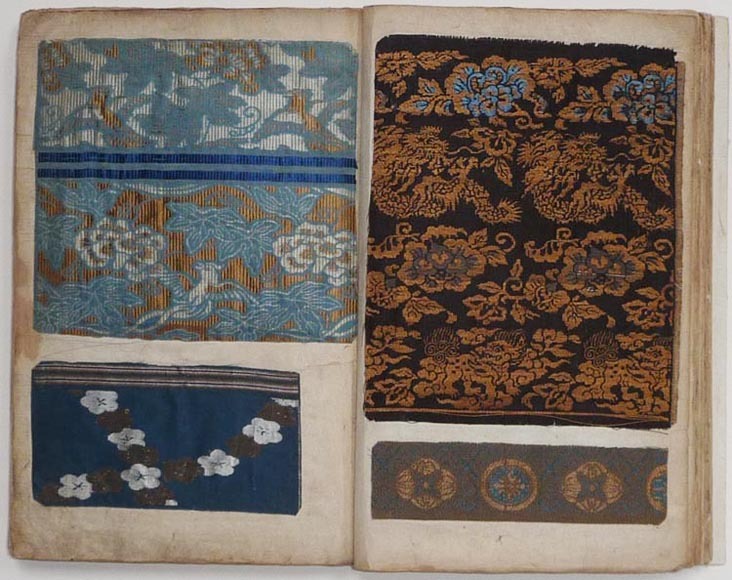 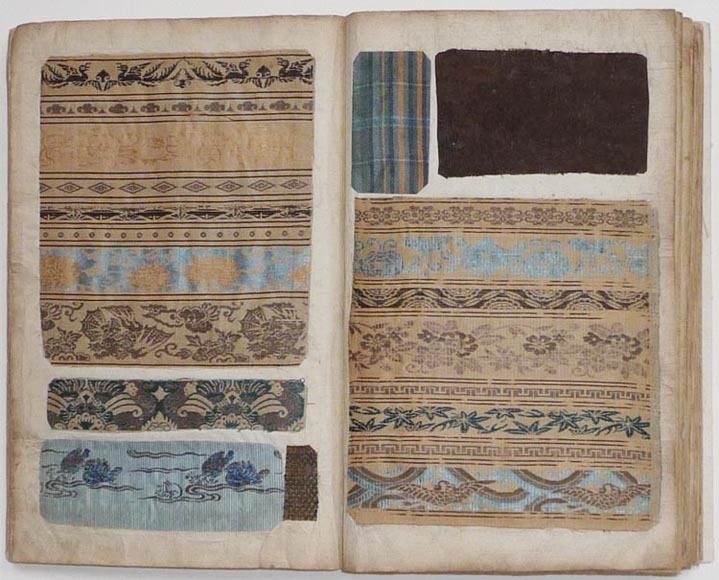 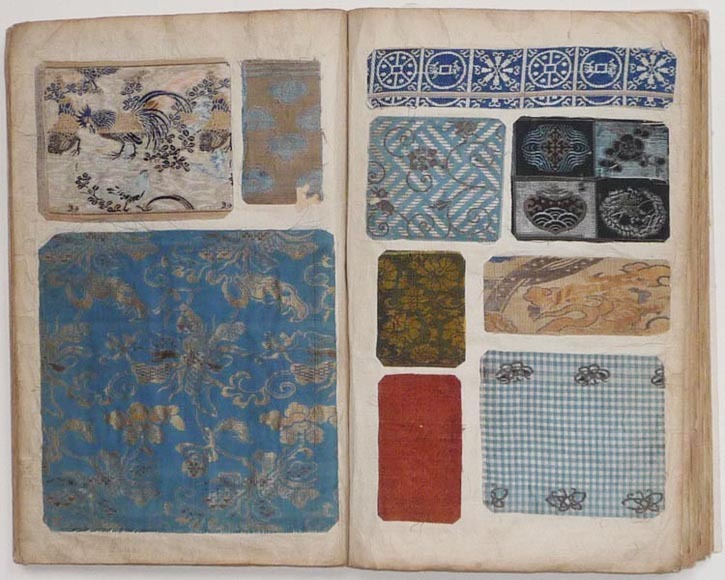 Description: A collection of Japanese textile fragments, mainly brocade. 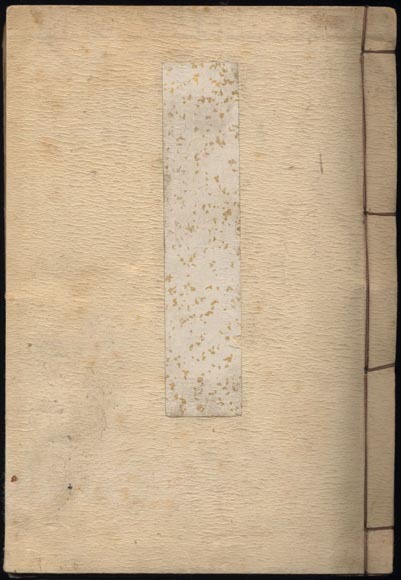 One hundred forty example pasted on forty-eight pages. 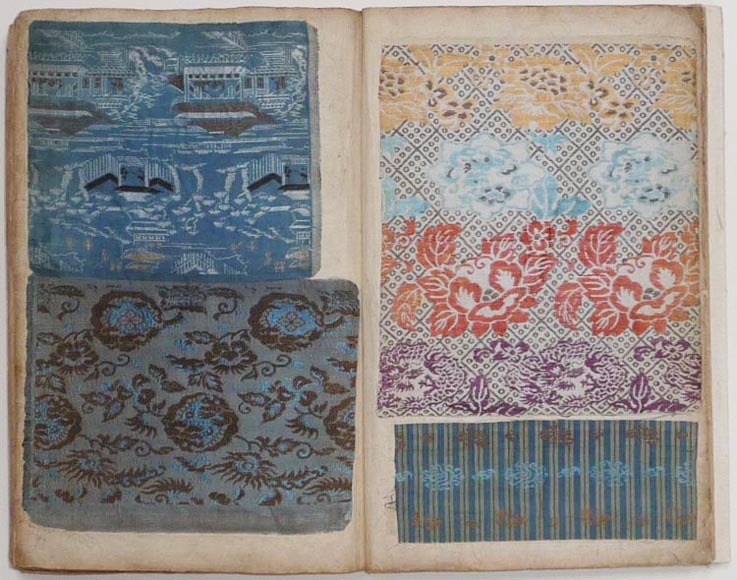 Date: The album mid 20th century, the textiles 19th and early 20th century. 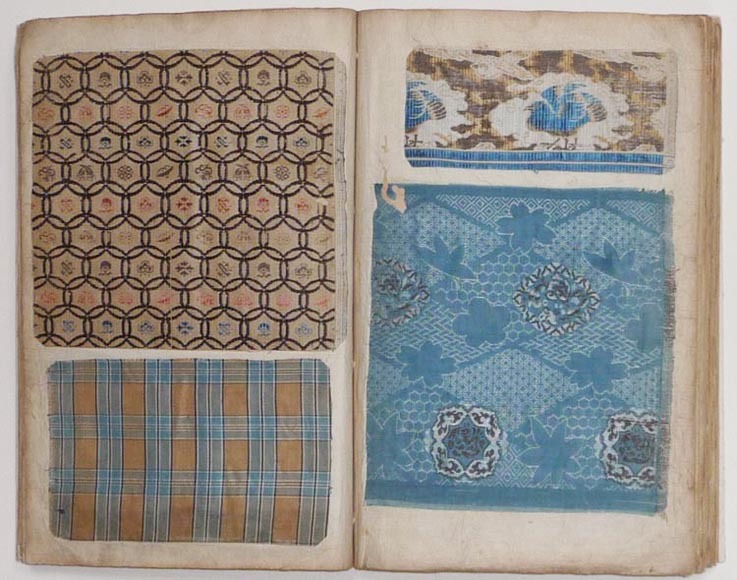 Size: String binding, 30x21 cm.